Make a difference in the lives of our patients, their families and the Upper Valley community by supporting Cascade Medical, your community-owned, nonprofit medical center. Established in 1992, the Cascade Medical Foundation has raised more than $1 million for Cascade Medical Center, including the purchase of an ambulance in 2015, the clinic expansion in 2012, digital mammography in 2009, the aquatic therapy pool in 2008 and a CT scanner in 2004. The H.H. Ladies use their crafting skills to create handmade gifts for "Cleo's Cupboard," a display in the main admitting lobby. It was named in memory of Cleo Fulwiler, an avid knitter who was one of the founding members about 50 years ago. In addition to the gift bar, the club organizes fundraising events throughout the year, including an annual garage sale and a Christmas bazaar. The group is always looking for those who can knit, crochet, quilt, paint or create other artistic works. Please call Gen Smith at 548-6222 for more information. 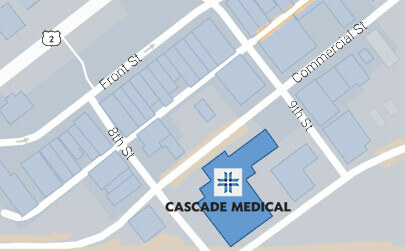 The Upper Valley Free Clinic provides free urgent medical care at Cascade Medical Center 6:30-8 p.m. every Monday. The Free Clinic is run by an all-volunteer staff, including doctors, nurses and support staff. To become a volunteer for the Free Clinic, visit http://uvmend.org/.